According to the Centers for Disease Control and Prevention, a pedestrian is struck and killed by a car every two hours in the United States. Pedestrian Accidents arise from a variety of factors but are most often the result of driver inattention or error. Weather conditions, compromised vision due to road conditions, traffic patterns, the behavior of other drivers, poorly marked crosswalks, unfamiliarity with local traffic laws (such as right-of-way) can all have disastrous results for those traveling on foot. Broken bones, cuts and bruises, and concussions are just the beginning. 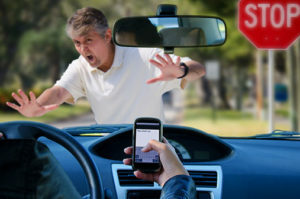 How Do I File A New Jersey Pedestrian Accident Claim? Like many other incidents that fall under the category of personal injuries, injured parties are often likely to settle claims quickly with insurance companies, in the interest of moving on, and clearing the way to focus on health and healing. But are they compensated properly for what’s to come? Financial obligations stemming from medical bills, rehabilitation, and untold psychological trauma that may require counseling or medication are difficult for victims to assess during a period of such turmoil. In New Jersey, when you are struck as a pedestrian, your own personal automobile insurance policy covers your medical bills. If you do not have your own insurance, and none of your live-in relatives do either, an experienced pedestrian accident lawyer at Birkhold & Maider will help you apply with the State of New Jersey, through a program called NJPLIGA, to help get you approved for up to $250,000 worth of medical coverage. Should I Speak With Insurance After A Pedestrian Accident? It’s in the insurance companies’ best interests to settle with you quickly – it’s in your best interest to resist the pressure to make hasty decisions, and to make sure you have a team in your corner to recover damages equal to potential future impacts on your ability to earn wages, unforeseen treatment costs, or potential chronic health problems due to injury. Because of New Jersey’s complex insurance laws, you must choose representation that has comprehensive knowledge in this area to ensure your case is in the best hands around. That’s where the pedestrian accident lawyers at Birkhold & Maider, LLC can help to navigate the legal side of this difficult time so you can focus on your health and recovery. New Jersey law doesn’t make the process easy: the state limits the amount of time victims have to file their claims, and so delaying could cost you options. Knowing your rights under the law is the first step. Contact us for a free case evaluation – we’ll assess your accident, establish whether or not you have a claim, and assist you in exploring your options from there. Birkhold & Maider Attorneys At Law are experienced in dealing with Pedestrian Accidents in the Nutley, New Jersey area. We serve clients in many townships and jurisdictions across New Jersey including Newark, Belleville, Paterson, Clifton, Passaic, East Orange, Bloomfield, Nutley, and other townships in Essex, Passaic, Bergen, Union, and Middlesex Counties, and beyond. Contact us for more information on the areas we serve. Contact the Pedestrian Accident Attorneys at Birkhold & Maider Today.